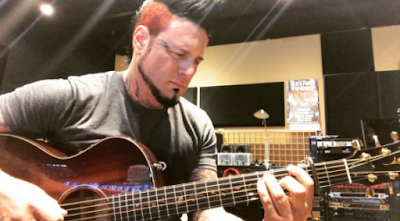 Jason Hook posted a video on his official Instagram account where he plays his guitar. A fan in the comments asked for a new solo album and Hook commented: "It's coming". Probably members of the band will dedicate themselves to other projects by the end of this year, when also Ivan Moody will launch his new band called 'Villain'. Jason Hook released its first solo album 'Safety Dunce' in 2007, in collaboration with Jeremy Spencer.